Me Coin provide no information on their website about who owns or runs the business. At the time of publication the only thing you can do on the Me Coin website is sign up as an affiliate. The Me Coin website domain (“me-coin.com”) was privately registered on January 28th, 2017. Further research reveals Juan Carlos Olaya appearing on Me Coin affiliate conference calls as CEO of the company. Why this information is not provided on the Me Coin website is unclear. Marketing videos on YouTube credit Juan Carlos Olaya (right) as President and co-founder of the Ingreso Cybernetico pyramid scheme. Olaya was still promoting Ingreso Cybernetico as of May, 2016. Alexa traffic estimates for the Ingreso Cybernetico website show a decline in interest throughout 2016 and 2017. For a pyramid scheme, this is as good an indication as any Ingreso Cybernetico has or is well on the way to collapsing. Since last May Olaya has been publishing generic online marketing training videos to his YouTube channel. Read on for a full review of the Me Coin MLM opportunity. Me Coin has no retailable products or services, with affiliates only able to market Me Coin affiliate membership itself. Me Coin pay residual commissions via a binary compensation structure. Every bitcoin invested by affiliates in a binary team generates 1 point. Reinvestment generates 0.5 points per bitcoin. Commissions are paid out daily in bitcoin, at a rate of 10% of points generated by an affiliate’s weaker binary side. 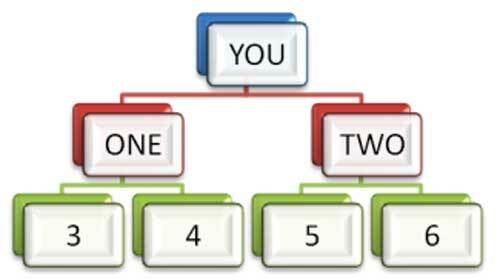 To qualify for binary commissions a Me Coin affiliate must recruit at least two affiliates (one placed on either side of the their binary team). If a Me Coin affiliate invests separately into all seven offered plans, their daily binary cap is increased to 3.5 BTC. 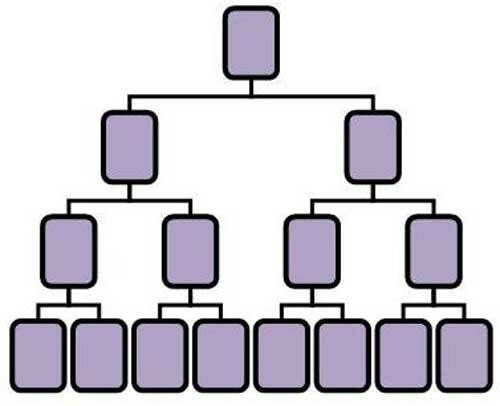 When a Me Coin affiliate invests, they also receive a position in a 2×2 matrix cycler. Each investment level operates as a separate cycler tier, with positions at each tier filled via new investment and re-investment by Me Coin affiliates. The Me Coin compensation plan mentions “monthly repurchase of your investment centers”, suggests the above plans are monthly recurring (or there’s a monthly fee attached). The ruse behind Me Coin’s monthly ROI payouts is bitcoin trading. We are the first broker in the market with a platform of live traders, operating in the main exchange of cripto [sic] currencies where all out operations are based on technical and fundamental analysis. Our experts are fully qualified to make a high level trading and performance for you, 24 hours a day and 7 days a week. Naturally no proof of bitcoin trading is provided, let alone accounting that ties any generated trading ROIs to the ROIs Me Coin pay affiliates. The rest of the Me Coin compensation plan is straight up pyramid recruitment, shuffling newly invested funds around to pay off those who recruit the most investors. If you combine Juan Carlos Olaya’ pyramid scheme past, Me Coin’s pyramid scheme business model, the lack of evidence that bitcoin trading is taking place and there being no correlation between bitcoin trading and affiliate ROIs, it’s pretty clear that all Me Coin are doing is using newly invested funds to pay off existing investors. This makes Me Coin a Ponzi scheme. And if that’s not enough to convince you, there’s always the Ponzi logic test. If Juan Carlos Olaya was able to legitimately generate a consistent 39.71% monthly ROI via bitcoin trading (I’ve seen Me Coin marketing claim as much as 50%), why would he be wasting time soliciting investment from affiliates? Outside of using it to engage in Ponzi fraud, Me Coin’s business model makes no sense. As with all Ponzi schemes, once affiliate recruitment dies down so too will new funds entering the scheme. This will see Me Coin unable to meet its advertised ROI obligations, prompting a collapse. Me Coin affiliates should be particular weary of investing via bitcoin, as when Me Coin inevitable collapses victim fund recovery will be that much harder. If you want to invest in bitcoin, research it and invest legitimately. Don’t fall for scams run by serial scammers just out to steal your money. The owner for me Coín is Renato Rodriguez. 100% is the real owner. and thats why all the coins programs are using BTC. Who are you to judge a program that was still in prelaunch at the moment of waiting this article? How in earth can a program that is in prelaunch provide tradeproofs. At moment I write this me-coin has been succesfull launched and had delivered allready 2 LIVE tradingsessions. Never seen a program actually giving real time proofs. You are complaining about the monthly returns. If you know anything about cryptotrading you must know you can even make 50% profits on 1 day if you know what you are doing. Mecoin ONLY gives 5% a day. 3.33 return of capital and 1.66 profits. All extra profits made are there to cover bad days. So in my opinion this is a very fair deal. – real time trading. Never seen in any business. – the other program has been running for 3-4 years without a single problem. But Yeah its like in real life. At a certain point there is less interest in a program. But if you see what products you got in return for your monthly subscription Then its a fair deal. And No one Will have refters he joined cinernetico in the past. If you want to buy all those tools in a regular company you also need to pay for it. Only cibernetico has an affiliate program. – there are apps on their way. If you have experience you know iOS only accepts apps After a very intense screening of the company. – about the owner. He is very wellknown in south america. He even has his own personal website. Never seen an admin that transparant about his identity. He doesnt use fake picture and fake name. So my conclusion is that I am a very happy investor. It Just pisses me off guys like you even break down a program in prelaunch without knowing everything. You guys Just break down every single program to atract more people to your website. A member of the public. Sorry, did I need your permission to review an MLM opportunity? And whether a company is in prelaunch or not is irrelevant, it’s the compensation plant that’s reviewed. At moment I write this me-coin has been succesfull launched and had delivered allready 2 LIVE tradingsessions. There’s no correlation between “trading sessions” and affiliate ROI payments. Mecoin ONLY gives 5% a day. And if that was legitimately possible, why on Earth would they share it with you? How on Earth can “a program” accept investment and advertise a ROI in prelaunch then? If your soliciting investment on the promise of an advertised ROI and the only verifiable source of revenue is affiliate investment, you’re quite obviously running a Ponzi scam. If you know anything about cryptotrading you must know you can even make 50% profits on 1 day if you know what you are doing. Not consistently. Yet here we are with Me Coin promising consistent returns that only Ponzi fraud can explain. At a certain point there is less interest in a program. Which only matters in pyramid and Ponzi schemes. If your affiliates are selling a product or service to genuine retail customers if recruitment dies down your company doesn’t collapse. Of course you are. You got in early and will now steal from everyone who joins after you. It Just pisses me off guys like you even break down a program in prelaunch without knowing everything. The compensation plan of an MLM company is everything. Be honest, you’re really pissed because your little scam is out here in the open for everyone to read about. obviously someone way smarter than you when the first dogwhistle scam word ‘prelaunch’ is used. they launched this week. and delivered already 2 live tradingproofs. I think that is a proof on how they make their profits. no you didn’t need permission. but reviewing a site that isn’t properly launched yet. You must give a program the chance to proove itself instead of breaking it down before they started properly. This is the only program I know that shows its proofs weekly and organise weekly live trading sessions. Don’t know what more a program must do for you to proof they get real profits for their investors from trading. But well everyone his own opinion. its just said a site like yours don’t give new programs the chance to proove themselves. and delivered already 2 live tradingproofs. I think that is a proof on how they make their profits. No, it isn’t – unless you can correlate trades with the entire ROI paid out to all Me Coin affiliates each month. You obviously can’t and never will be able to, because if Me Coin was able to legitimately generate a monthly ROI of almost 40% they’d be keeping it to themselves. Dollar for dollar the only verifiable source of revenue entering Me Coin is affiliate investment. Using new investment to pay off existing investors is Ponzi fraud. An MLM opportunity has one shot to “prove itself” with it’s comp plan. Me Coin’s reeks of Ponzi fraud. In the almost ten years I’ve been running BehindMLM, I’ve never been wrong about a scam. Not even once. Obviously it is a Ponzi scam. You don’t have to be very smart to see it, and I actually invest in it because I am willing to risk couple thousands to make good money recruiting idiots incapable to understand how this type of business work. Statistics show pyramid scams average a max of 18 months, if they cross the first 90 day test most likely can last for about 18 months and then collapse. Still no guarantee. Judgement with the lack of information is nothing more than ignorance. I’ve been a businessman for over 35 years and I have seen scams as well as incredible opportunities and this is the later. I personally know one of the principles and we’re great friends. I have met 2 others who are principles and before I invested, I verified everything to be true. The use live traders and they’re extremely profitable. Believe me, they’re being very conservative with what they’re paying out which makes it extremely sustainable. As a businessman and believing credibility is everything, anyone that makes a judgement as well as slanderous claims should not be trusted and that’s anyone who says Me-Coin isn’t anything but a legit opportunity with daily profits being generated and a portion being paid out as described and promised by the company. So you can provide proof Me Coin are trading bitcoin to the tune of a 39.71% monthly ROI? Which is why I’m sure you can appreciate, unless you’ve swallowed the Ponzi koolaid, Me Coin’s business model doesn’t add up. NOBODY in the world can guaranty 39% ROI monthly unless it is a scam. Start with that, and stop the bla bla bla..
Where is the evidence? Let’s ask the SEC to investigate. Too bad I can not add a graph, but the traffic on their website is way down and Mecoin stopped paying two days ago. If you can add; one the other = collapsed pyramid. It’s a big fraud I lost my 0.059 BTC in me-Coin. When I tried to contact them regarding this issue they did not reply me. My request ID regarding this issue is (removed). So be careful. MeCoin and Ecoinplus (empower coin) stopped paying to their ‘investors’ MeCoin stopped 4 days ago and Ecoin did 2 days ago. Word is this scam got “hacked”. What a load of Bullsh*t!